In this day of disposable products everywhere you look, there is reason to have deep admiration and appreciation for anything that is hand crafted. Many of these crafts and arts are dying off. So when those who LOVE handmade items get together, there is an intensity, energy, and passion that you don’t find many places. 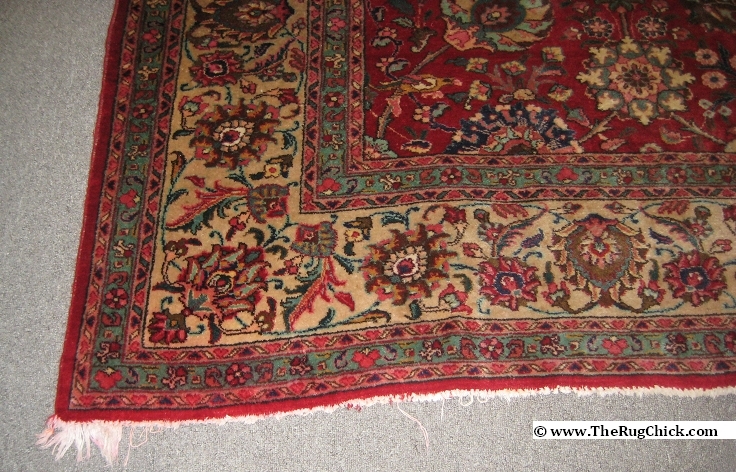 Those who learn a bit about hand woven rugs, and know how they are woven, one knot at a time, generally LOVE them. I know I do. Loom used to hand weave a rug - one knot at a time. 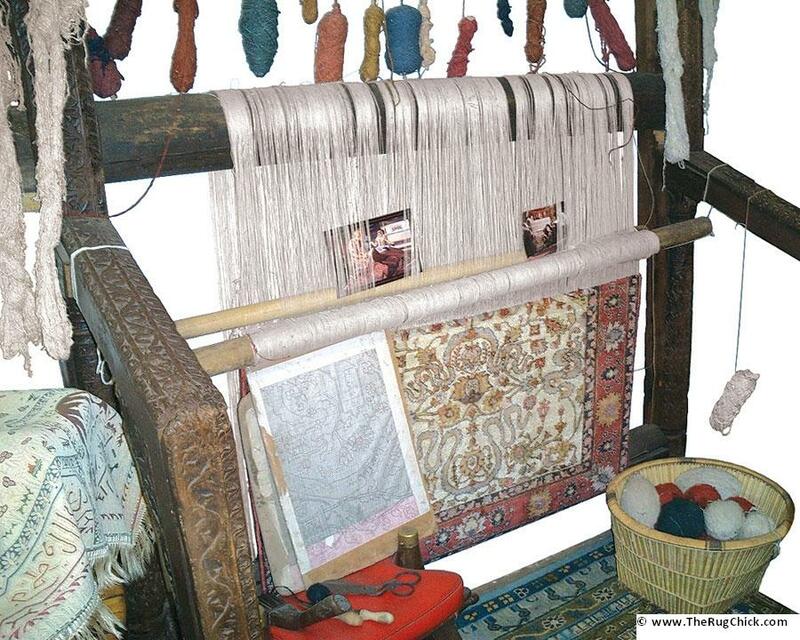 A 9×12 rug can take three weavers working 6 days a week, ten hours a day, over a year to weave a hand-knotted rug. That is a piece of someone’s life you have on the floor. A piece of their heart and soul. And that doesn’t even take into consideration the shearing of the wool, dyeing of the wool, spinning of the wool, before they even begin to weave the rug. My mother Kate Blatchford and I had the pleasure of being featured presenters to a recent meeting of the Palomar Weavers Guild – a group of fabric, textile, and dyeing experts. 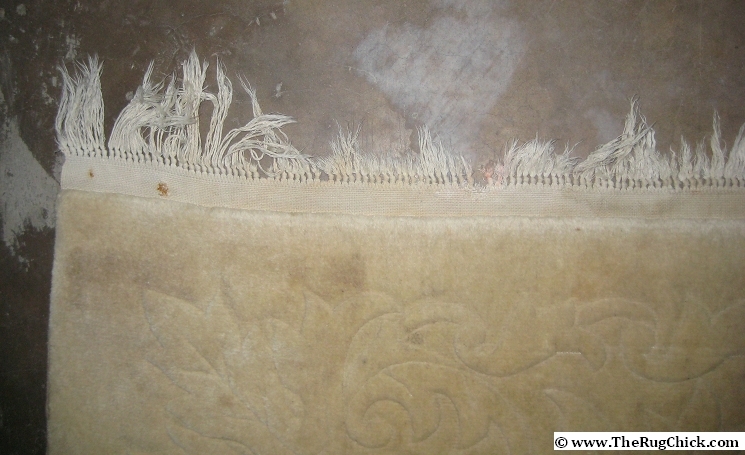 My mother Kate is the founder of our San Diego Rug Cleaning Company, and she and my brother David have launched a blog dedicated to rug repairs. Kate Blatchford talking with members. Here I am speaking with some weaving guild members. We also hosted a meeting at our San Diego Rug Cleaning Company plant, and I welcomed industry professionals from the local Carpet & Fabricare Institute chapter to learn about rugs in the rug repair section of our facility. Exclusive workshop for local CFI members in our repair wing of our facility. There are not many resources out there for those in the general cleaning industry to learn about rug care from those who actually DO the craft. I have not conducted full multi-day rug cleaning clinics for many years… but this year I am planning to do a number of them. Some for those professional carpet cleaners and restorers who want to learn the craft properly (and how to find the right clients to clean for)… and some other workshops for consumers who are interested in learning more about the art and history of rugs, and also what rugs to absolutely buy, and which ones to run away from. The good, the bad, and the ugly in the rug world. Opt-in to my Rug Chick updates list, and you’ll get first notification of workshops coming across the US this year. They will be small, and extremely in-depth, and they will fill up very fast. In the meantime, any questions you have about rugs, or topics you would like to see covered here on the Rug Chick blog – please post them in the comments. I’d love to know what you’d like to learn more about.